Sure, you can email, text or post your message on social media, but there's nobetter way to surprise, delight and brighten someone's day than by sending areal-true-to-life handwritten note. And Studio Oh has designed the perfectNotecard Set to really make your gratitude, kind words or playful message lookgood. 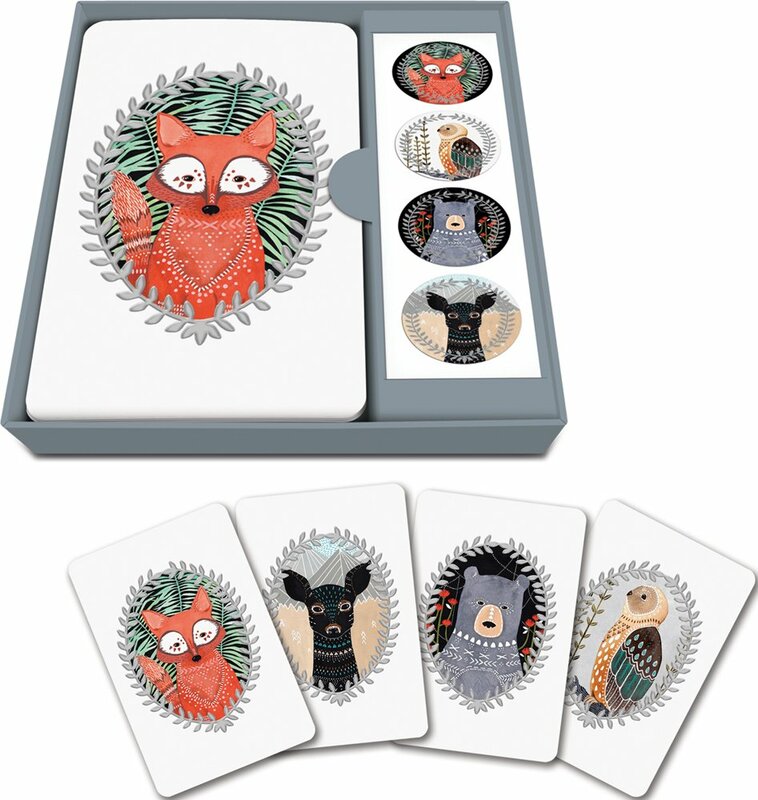 Each set comes complete with everything you'll need (except for a penand your thoughtful words): 12 notecards and 12 coordinating stickersfeaturing the engaging artwork of artist Marisa Redondo (3 each of 4 cleverdesigns) and 13 envelopes. The cards are, of course, blank inside for apersonal message, so go ahead; don't be shy - write your heart out. Thepassionate and creative designers at Studio Oh believe that products not onlyshould be relevant to the needs of today's consumers but also should beenvironmentally responsible, infused with energy, elevated design, richly-saturated colors and fine craftsmanship. From beautiful calendars loaded withsuper functional planning features and stationery and journals that move andinspire to home, kitchen and table decor accessories with plain-old-amazingdesigns, Studio Oh invites you to explore their extraordinary productsavailable on Amazon.